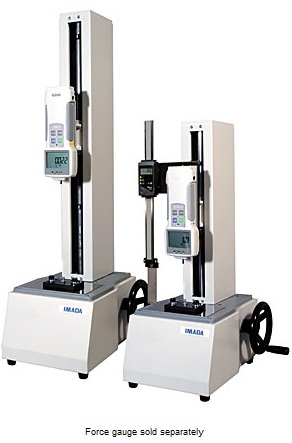 The IMADA HV-110S/HV-110 are compact test stands with a maximum capacity of 110lbf. The hand wheel offers precise movement that is ideal for force measurement that requires relatively consistent speed and maximum gauge control. The gauge remains in position when the wheel is released which allows the user to easily change samples between tests.